With spring outdoor cleanup starting, we know some residents choose to burn brush and yard debris on their property. Cleaning up debris and limiting the level of flammable vegetation surrounding your home is a good practice. But make sure the way you do it is safe – for you, your home, your neighbors, and the surrounding area. Should you wish to clear any land or burn any brush, the St. John’s Regional Fire Department (SJRFD) wishes to remind all citizens that a permit is required for open air burning or burning in a barrel. The fire shall be minimum of 15 meters from all brush, debris or combustible materials. The Permittee shall have at the location of the fire at least 1 person and adequate firefighting equipment and water supply for SJRFD to extinguish the fire if it becomes necessary. The fire shall not exceed 1.5 square meters. No more than one fire shall be burning at a time. The fire shall not be left unattended until it is extinguished completely, and the fire is to be extinguished before dark. No open air fires are permitted during periods of high or extreme Fire Weather Index or in winds over 20km/h. The permit does not allow for the burning of heavy oils, items containing natural or synthetic rubber, animal carcasses or animal wastes, asphaltic products, waste petroleum, paint plastic aerosol cans, electrical wiring, treated wood products or any other material other than plant growth, paper products or untreated wood construction wastes. 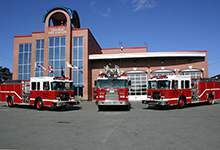 A copy of the complete open air fire regulations can be obtained on the City of St. John’s website.